How much is Viola Davis Worth? 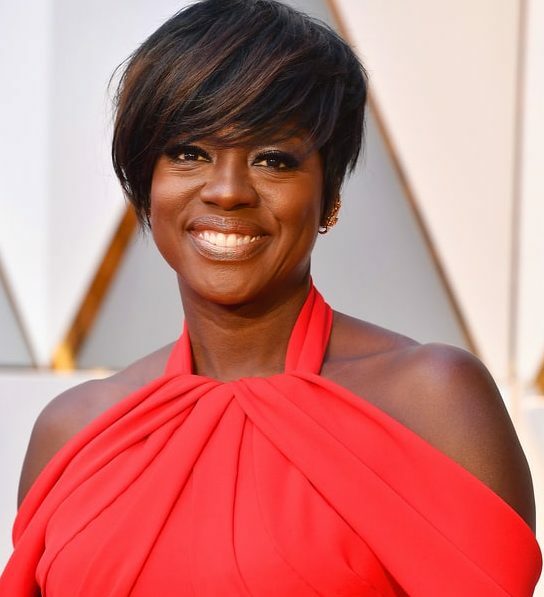 Viola Davis Net Worth: How rich is Viola Davis? & How much money is Viola Davis worth? Time to find out! Viola Davis is American actress and producer and her current net worth is $13 million. Born in St. Matthews, South Carolina, to her parents Mary Alice and Dan Davis, as the fifth of their six children. Two months after her birth, the family moved to Central Falls, Rhode Island, with two of her sisters, leaving her older sister and brother with her grandparents. His cousin is actor Mike Colter, who plays the Marvel Comics character, Luke Cage. Growing up, she attended Central Falls High School, the school she credits with inspiring her love of stage acting. As a teen, she served as a member of the federal TRIO Upward Bound and TRIO Student Support Services programs. After high school, she attended Young People’s School for the Performing Arts in West Warwick. While there, a director at the program, Bernard Masterson, recognized her talent. Upon graduating from high school, she went to study at Rhode Island College, where she majored in theater. Later on, after graduation, she attended Julliard School for four years and served as a member of the school’s Drama Division. How did Viola Davis start her career? She started her career on stage as Ruby McCollum in Everybody’s Ruby. For her performance, she won an Obie Award. From there, she had small and supporting roles in films during the late 1990s and early 2000s, including the films Kate & Leopold, and Far from Heaven. She won a Tony Award for Best Featured Actress in a Play for her portrayal of Tonya in the original production of August Wilson’s King Headley II. How did Viola Davis get famous? In 2008, she had a supporting role in “Doubt”, which earned her several nominations, including the Golden Globe, SAG, and the Academy Award for Best Supporting Actress. Then, during the 2010s, her fame increased thanks to her performance as Rose Maxson, in Fences. For the role, she received a Tony Award for Best Actress in a Play. However, her fame broke internationally after he portrayal of 1960s housemaid Aibileen Clark in the comedy-drama The Help. She received a nomination for the Academy Award for Best Actress. How does Viola Davis make money? Since 2014, she has portrayed lawyer Annalise Keating in the ABC TV drama “How to Get Away with Murder”, for which she makes around $250,000 per episode. In 2015, she became the first black woman to win the Primetime Emmy Award for Outstanding Lead Actress in a Drama Series. The following year, she played Amanda Waller in the Suicide Squad and reprised her role of Rose Maxson in Fences. Together with her husband, Julius Tennon, they own the production company JuVee Productions. With her husband, she has a daughter. This wraps up our Viola Davis Net Worth profile! How much is Kirsten Dunst Worth? How much is Kat Von D Worth?